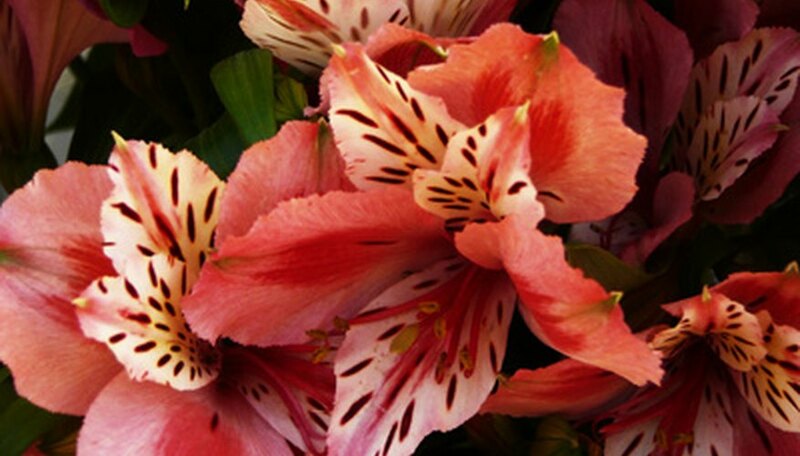 Alstroemeria is also commonly known as the Peruvian lily. This flower is a perennial native to South America. It blooms in the spring with large, colorful flowers. Alstroemeria comes in many different shades such as white, orange, pink, yellow, purple and lavender. It is a popular flower for vases and flower arrangement because it can last up to two weeks after it has been cut. The Peruvian lily can grow up to 2 feet tall with flowers approximately 2 inches in width. Soak your alstroemeria seeds in warm water for approximately four days. Change the water once a day with fresh warm water. This will help germinate the seeds. Plant the seeds approximately 1/2 inch deep in individual pots inside until the seedlings begin to develop. This process can take up to four weeks. Use an all-purpose potting soil when planting the seeds. Place the pots in an area that will get at least three to four hours of sunshine per day. Transplant your plants outside in late summer. Dig a 6-inch hole for each plant. Place the plant inside the hole. The flowers should be planted in an area that is well drained and is in partial sun. Space your plants 8 to 12 inches apart. Water your flowers two to three times a week with an inch of water. The soil should not be allowed to dry out, this can reduce the number of blooms. Place a 4- to 6-inch layer of mulch on top of the flowers at the end of the growing season. This will keep the roots moist, fight weeds and protect the flowers during winter. Fertilize your alstroemeria in early spring with a 5–10–10 (nitrogen-phosphorus-potassium) fertilizer. Use 1 to 2 cups for each 25-foot row. Use a slow-release fertilizer for best results. This will help prevent burning the plants and it will supply a continuous amount of nutrients to the plants roots. Thin your flowers before they begin blooming in early spring. Roots can grow thick and long so try to keep no more than three flowers growing together.